Can You Tweak Products Like Steve Jobs? One cliffhanger of last night’s earnings announcement from Apple is whether the company can keep making intuitively brilliant product tweaks without Steve Jobs. As a number of recent biographical and journalistic analyses show, Jobs was the “editorial” sensibility and decision-maker behind many of Apple’s most celebrated and appreciated tweaks. He shaved 10 seconds of boot time off the Macintosh. He removed the off/on button from the iPod. He swapped in more durable screen materials for the iPhone. He rounded off the corners of the iPad. Now, without Jobs’ input, Wall Street and consumers seem less certain if the modifications to the iPhone 5 will carry the same editorial sensibility. 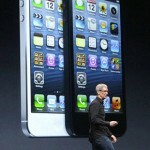 If they do, it may help Apple reverse the weakening demand for iPhone sales it described in the earnings call. This ability to tweak offerings is a skill that most organizations need to have, according to our recent analysis of data from 180 CEOs. But unlike Apple, most companies don’t rely on the CEO to do the tweaking. Specifically, CEOs report that they identify two types of “tweaker talent” within their organizations. We call them reframers and filters. Reframers are like good story editors who can help writers see new and better ways to frame their ideas. In organizations, reframers similarly help the business see better ways to deal with complex problems or opportunities for innovation. For instance, a national bank in our sample was facing tough new regulations that immediately impacted about 14% of revenues. Rather than moving into damage control mode, beginning with lowering revenue projections to shareholders, executives called workers for suggestions. A few reframers quickly came forward with an alternative, eco-friendly offering. The result was a 15% increase in new revenue, and a leadership position in a new market segment. Filters, on the other hand, are like deeply knowledgeable acquiring editors, skilled at finding the next best-seller in a stack of book proposals. These employees are willing to use deep experience in a particular sector to discern and shape opportunities within their social networks and regional markets. For example, one CEO in our sample identified a filter who found a previously untapped government market the company could sell services to. Using his networks, deep social and professional connections from previous public sector work that no other employees had, the filter could quickly “sort through the thousands of potential opportunities and distill the top 1%. Of this 1% we were rewarded one in four projects,” reports the executive. Besides leveraging their networks, executives can also rely on filters to create value by sharing their first-hand insight on the nuances of a local market. When product developers weren’t sure where to launch a new home flooring offering, the CEO advised his R&D team to ask for input from employees in satellite offices throughout North America. Acting as filters, many employees offered local insight not only on whether the product would sell but also on where small modifications could be made to satisfy regional tastes. Declines. Measurable declines in customer sales are an obvious signal tweaks may help. One pet supplies and services company noted that customers were unexpectedly cutting back on its preventative veterinary care offering. So it began testing a “wellness package” that combined these services with healthy pet food products at a reduced cost. The tweak increased overall revenue by 8%, four times initial projections. Disconnects. B2B companies often have a distinctive outside-in view of interactions across functions and groups at client organizations. From this vantage point they can often identify communication and collaboration failures ripe for tweaking. One consultancy observed that a client company trained its marketing staff in a highly “lopsided” way, leading to high-turnover (and low marketing-effectiveness) in regions where staff were undertrained. As a result, the consultancy made a a small alteration to an existing training technology, and the tweak has led to a “significant new revenue stream for our firm,” according to one executive. In each of these three Ds, tweaking occurs within the context of existing resources, offerings, and customer data. It’s not about making big bets. The promise of creating value in a low-risk environment encourages people to step forward and cultivate their editorial skills. Remember when you start tweaking: Don’t start with your firm’s high-stakes equivalent to the iPhone 5.